Here are a few more thoughts that didn’t make the sermon, and a few resources to help you understand this “Varsity” Christian topic, which I struggled to articulate well. Hopefully these 3 resources will help you understand what we're talking about when we talk about adiophora, Christian Liberty, and Christian Responsibility. This is a short article to give a "How to Decide" guidance. 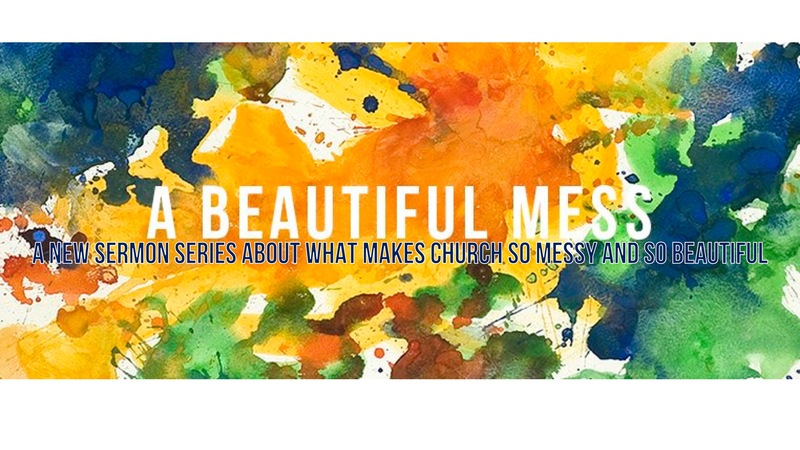 This is a longer sermon outline based on Galatians 5. It is really thorough and helpful. This is a classic book. It is very short and anybody can read it. I have read it multiple times. Last week, July 10, 2016, I preached on Matthew 17, and we learned from Jesus’ response to the 2-Drachma Temple Tax. We learned that just because I can do something, doesn’t mean I should do something. We learned that Jesus sets us free to do all kinds of things that at one time were sins, like eating pork, shrimp, rare meat, working on the Sabbath, eating with Gentiles, etc. We are freed from these things, because all of them were shadows, types, and pre-figurations of Jesus the Messiah. We don’t have to sacrifice animals because Jesus is our sacrifice. We don’t have to pay atonement money because Jesus has paid our ransom. We don’t have to sit at home on the Sabbath, because Jesus gives us the rest from works and good deeds that the Sabbath previewed. We don’t have to perform our ceremonial washings because Jesus has cleansed us. We don’t have to bow to priests because Jesus has made us all priests. AND YET, just because I don’t HAVE TO do any of those things, or conversely, just because some things are not expressly forbidden by the scriptures, that DOES NOT mean we SHOULD DO any of those things. The Scripture doesn't specifically address things like alcohol, dancing, eating meat or blood sausage, go to the bar, do yoga, wear yoga pants or speedos, visit non-christian religious sites, etc. and so there are faithful men and women who believe some or all of those things are sin and some believe they are all fair game based on principles such as modesty, moderation, simplicity, idolatry, or the Old Testament. We are free do do those things because of Jesus, but still, Jesus says we have a responsibility to our fellow believers. So that if something I do that is not in and of itself a sin (like dancing) causing a fellow believer to disbelieve the gospel or to actually sin (living promiscuously) then I SHOULD NOT do that thing out of love for my neighbor. So we learned that were the Bible is specifically silent (and the Bible is clear many, many places) there will be differing views on what things are and are not sins within a Church. Moreover, we learned that there are times, when we should not make a fuss about something that is negotiable or debatable, just as Jesus paid the tax, though he did not have to. We also learned that there would be times when the Church would fight over petty, non-Scriptural issues, and where we will hurt one another by refusing to submit our opinion to another person’s need. 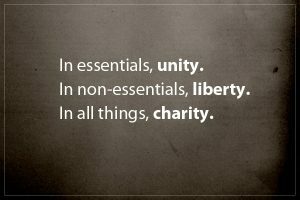 We need other people to help us figure out how to exercise our Christian Liberty with Freedom. Since this is not a list of do's and don'ts, we have to learn the hard work of case by case decisions. We have to learn to apply principles rather than obey rules. Derek Webb talks about that a lot in his song, "A NEW LAW". You frankly cannot learn to responsibility exercise your Christian freedom without the help of other believers. 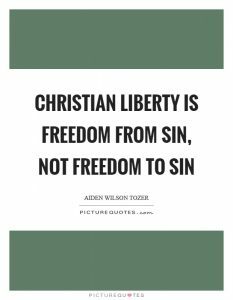 Without others to help you, you will use your Christian freedom to "indulge the flesh" (Gal 5:13), happily sinning while believing your innocent. Where else do we learn to work together, to submit our preferences and opinions to other people’s needs and hurts when the investment and stakes are high. It hit me this week as I listened to someone lament, “I’m never buying property with friends again.” I realized that this is common counsel, “Don’t go into business with friends. Don’t buy property with friends. Unless you’re ready to loss those friends.” Other than husbands and wives people rarely have to make big investment decisions, decorating decisions, style decisions, and usage decisions together. As any newlyweds will tell you it's hard enough to get used to doing this with one other person with the guarantee of forever, it seems impossible to do so with voluntary friends. In general, our society believes that it is not possible to work these things out because too much is at stake, AND YET, in church we do something more complex TOGETHER. Think about it. If we think of the church in secular terms, then as a church: We own property together. We run an organization (technically a corporation). We lead a worldwide evangelism campaign. We run a social welfare organization (Mission and Outreach Committee). We craft a movement. We run a school and a one day a week nursery. Plus we put on a "performance" every week. ALL WITH 200 equal partners, we call brothers and sisters; with people we must love. If two families or even two siblings can’t successfully own one beach house, can you imagine the complexity, humility, other-serving-sacrifice required to BE CHURCH with 200 other people with their own investment, buy-in, opinions, hopes, ideas, and backgrounds? It’s going to be tough at times from the normal property disputes about paint and carpet to the larger worship-style conflicts to the mission focuses to protests over church “power” structures. The Scriptures leave us free to faithfully choose different answers to all those questions, and yet only in church must we learn to think for the youngest believers and the outsiders. Only in church do I sacrifice my long held opinions and preferences to the needs of those who don’t yet know the truth or understand it’s full implications. So every decision about adiaphora stuff from interior decor to guitars versus organs to the food pantry versus the tutoring program is an opportunity for me to ask, "Is this a non-negotiable or are these 2 faithful ways to serve God? AND will a public dispute attract people to Jesus or push them away? Which of these two options will help people believe Jesus is the Christ?" 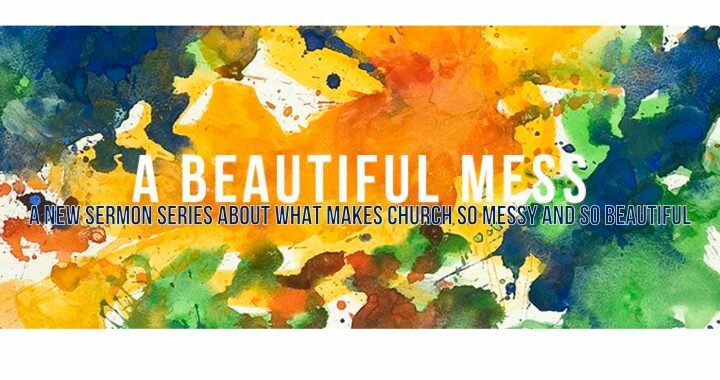 So sure, Church is a mess, but a in a world where friends are told not to buy property together or start enterprises together it is a counter-cultural BEAUTIFUL MESS! In a world were people cannot make cooperations work on a small scale, or governments on a big scale, the Church is place we learn a different way. Thank God for this Beautiful Mess.